We recognize not everyone has the time or interest to build a max level character in every game. You can begin a new adventure here by browsing our massive catalog of characters that spans across multiple titles. We also offer Time Cards for these games so you can start immediately playing! If you meet our minimum requirements you can sell your account directly to the Game Supply or trade it towards another account on the website-for any game! Just click the button below to get a quote for the sale of your gaming account! 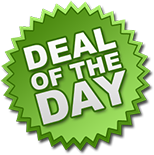 View today's deal & Sign up to receive a great deal e-mailed to you every day.